Copyright: Artists will always retain copyright of their works. Specto will use your work in promotional materials to advertise for shows you're involved in, but only with your permission. Image requirements: up to 2 Mb in file size. 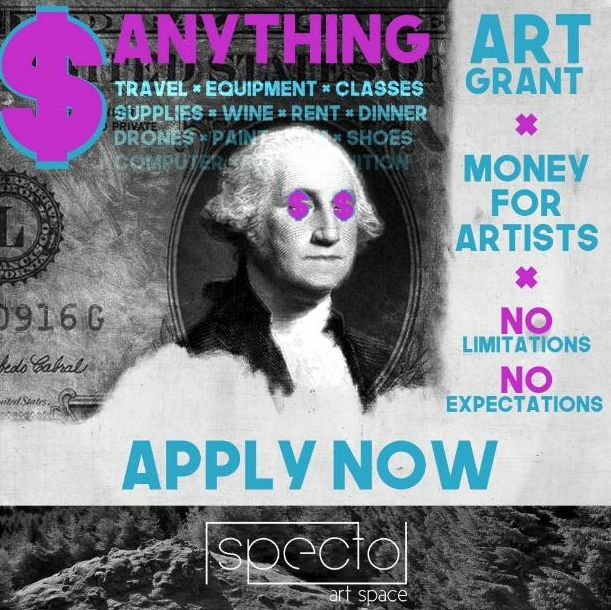 Artists applying to the Anything Art Grant are allowed to submit up to 6 works.